Many parents with child support obligations lament the heavy price they pay each month, while still struggling to make ends meet. No doubt, child support can be a big bill, especially when there are multiple children to care for. 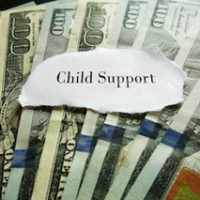 Fortunately, there are often legal ways to reduce child support payments. An attorney from the Law Offices of Todd K. Mohink, P.A. may be able to help you review your situation to see if you are paying too much. Who Handled Your Original Child Support Case? According to reporting by the Chicago Tribune, experts from the Institute for the Advancement of the American Legal System (IAALS) claim that as many as 75% of all people involved in family law cases nationwide are self-represented. This means 3 out of 4 people show up to divorce or child support proceedings without a lawyer. If you were unrepresented in your initial divorce case, there’s a good chance you may not have calculated correctly. Maryland uses a sophisticated calculation to determine the correct amount of child support, but many people are unaware of things that can be deducted prior to calculating child support. Often an experienced attorney can help to take advantage of these when recalculating the amount you should pay. It is important to remember that the court will not consider changes in circumstances brought about by your own doing. In other words, if you were making $100,000 per year when you got divorced, but you decided to leave your lucrative position to work in a family business for $35,000, the court is going to have a very difficult time being sympathetic. Remember that family court judges are very suspicious. A judge’s job is to interpret the law in such a way that it protects children. If you intentionally reduce your salary, be prepared to give a very good explanation. There are certainly times when a voluntary change in income may be worthy of a reduction. If you plan to go into a ministry or take on some lifelong dream, you may wish to openly discuss this with your ex and your attorney first. Before you attempt to take matters into your own hands and stop paying or reduce your child support, be sure to call an experienced attorney first. You should never stop paying or pay partial payments, unless it is an absolute last resort based on financial desperation. Before you do, talk to a lawyer. You may have legal options that can provide some relief. If you try the self-help remedy of not paying, you could quickly face contempt proceedings. For help with child support modification in Anne Arundel and Howard Counties, call the Law Offices of Todd K. Mohink, P.A. today.